Mardi Gras is such a festive time, but not all of us can traipse to New Orleans (or anywhere) to take part in the official celebrations. It's still possible to enjoy the festivities, by throwing your own Mardi Gras party for family and friends. 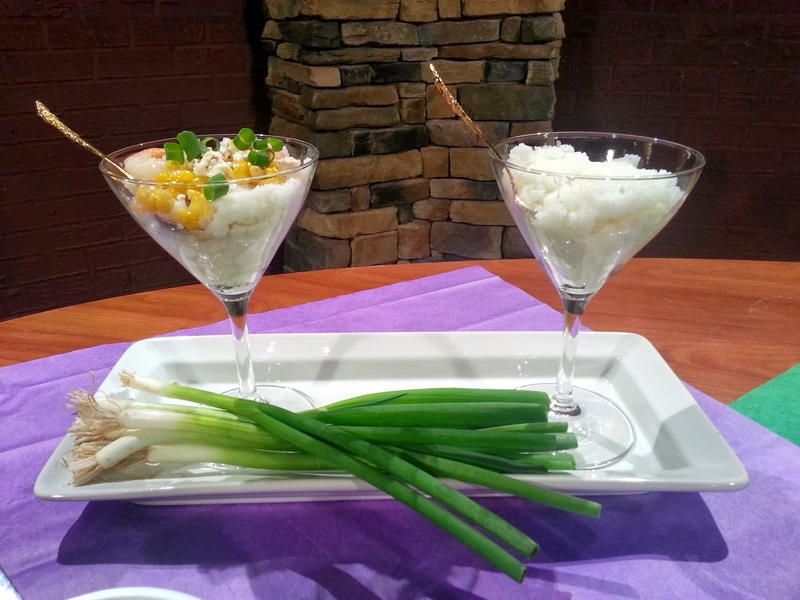 I shared some tips for a DIY Mardi Gras party on Knoxville's WTNZ Fox43 and I wanted to share them with you as well! The central focus of any good party is always the food, right? My idea for a DIY Mardi Gras celebration is to set up a make-your-own grits bar. It's sort of like a hot fudge sundae bar, except with grits. The best thing about grits (besides their being tasty) is they are affordable. You can make up a whole mess of grits without spending much money. Then, gather a variety of different toppings and let your guests go to town! Other food to serve for a Mardi Gras party might be anything and everything that is local to New Orleans or Louisiana. 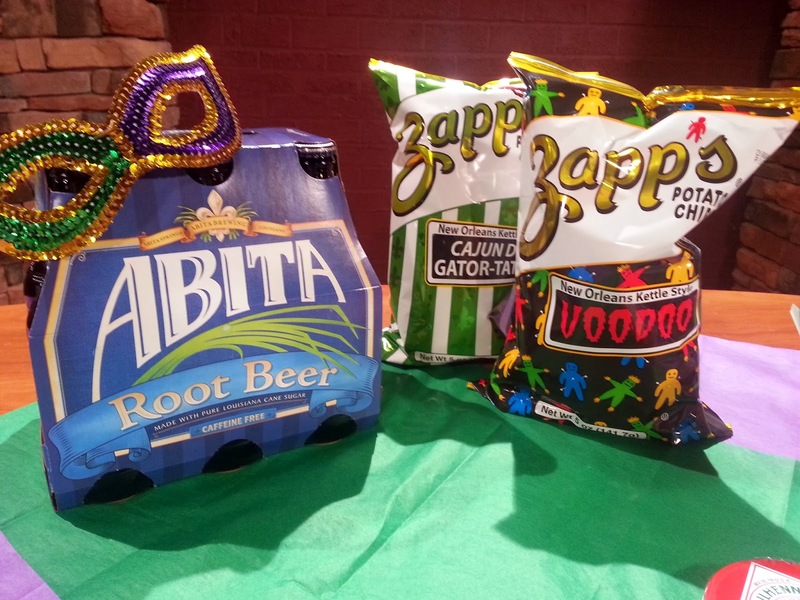 Zapp's chips, Abita beer (or root beer), Tobasco, pralines, etc. 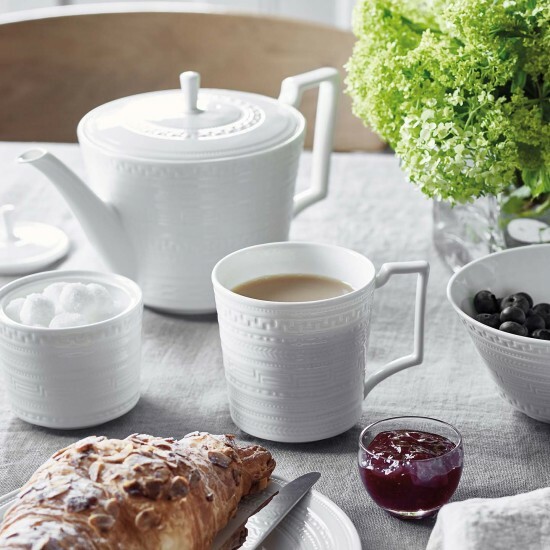 Whatever you can find and think your guests might enjoy! It's your party after all. You might also want to put together some fun Mardi Gras party favors for your guests to take home. I found these adorable yellow polka-dot take-out containers at World Market. Combined with green and purple tissue paper, they made adorable favors! I filled them with pralines (prah-leens, y'all! 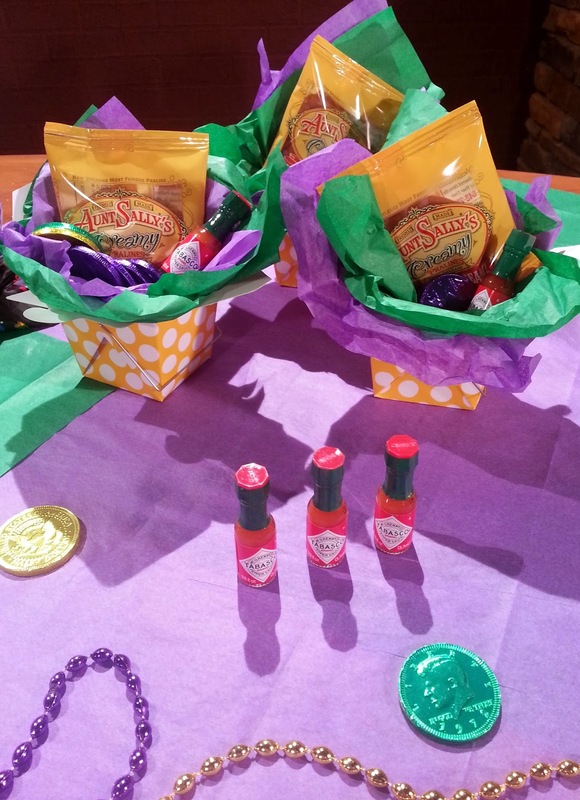 ), tiny bottles of tobasco and traditional Mardi Gras chocolate coin candy. All of this was from World Market too...but you could probably find similar items at a party supply store or craft store. Finally, whip up a batch of beignets from the world famous Cafe du Monde! Don't forget the powdered sugar! Enjoy them with a cup of Cafe du Monde coffee for the complete experience. You could serve this as a late-night snack to give your Mardi Gras guests a boost or even just send them home with a gift basket as a souvenir to help them remember your festive gathering! 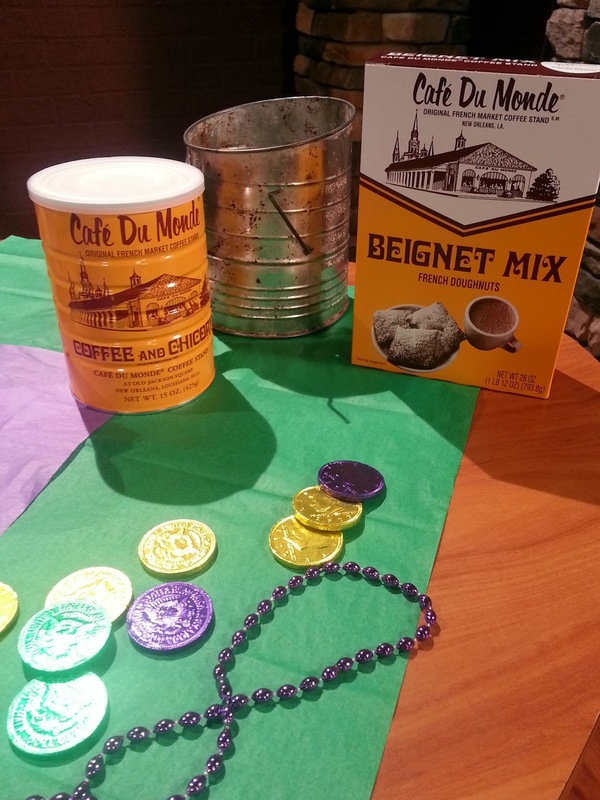 (source for Cafe du Monde items - World Market). Happy Friday folks and Laissez les bons temps rouler, y'all! 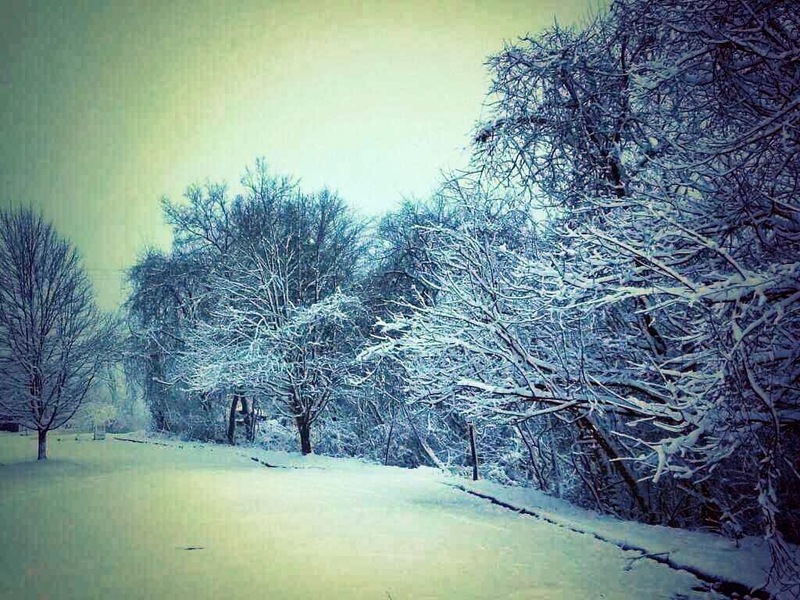 The most beautiful snow passed through Knoxville last night and I woke up to a winter wonderland. I always hate to hear of anyone who has lost power or gotten stuck while traveling so I sort of don't want to revel in the weather too much....but it really was gorgeous to see. After an early morning stroll around my neighborhood, I came home and decided to make something special for breakfast. 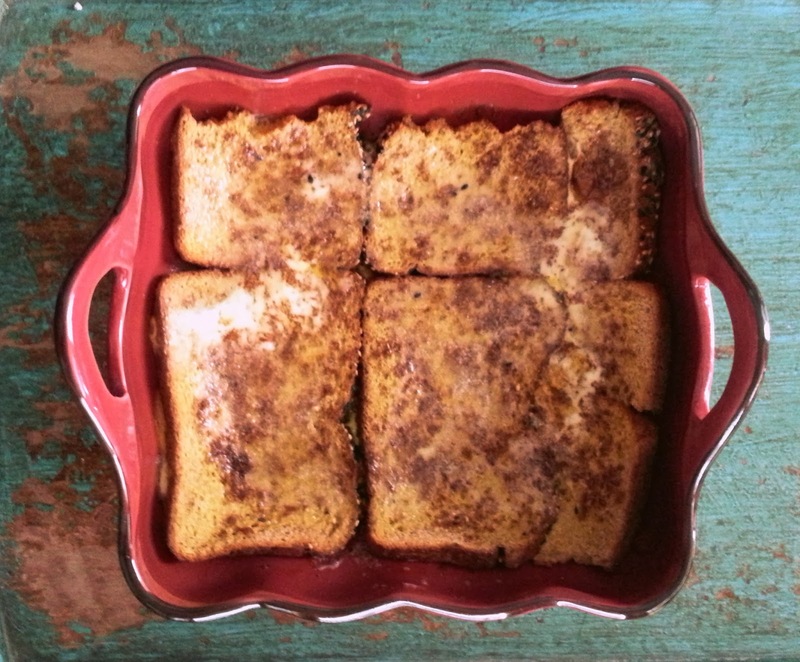 French toast has always been one of my favorite morning treats and I tried this baked version so I wouldn't have to stand over the stove making one piece at a time. I didn't follow any particular recipe, but it turned out great. First, I sprayed a baking dish with non-stick spray and then I lined it with pieces of whole wheat bread. For the egg mixture, I combined two eggs, about a cup of vanilla-flavored almond milk and two tablespoons of sweetened condensed milk and poured it over the bread. Then I sprinkled brown sugar and cinnamon over the top. Bake at 350 for about 45 minutes. I probably should have used more milk...it was a little dry. But nothing some syrup couldn't fix. 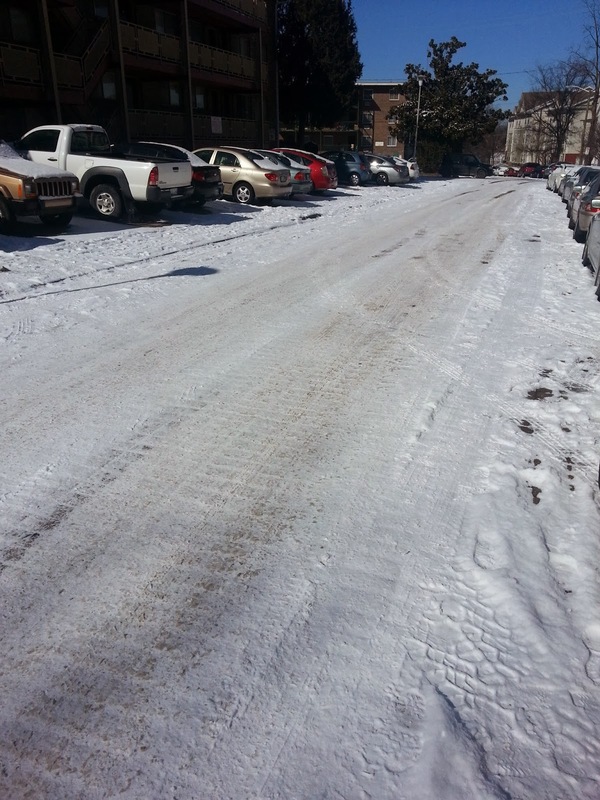 The snow is beginning to melt, but it was lovely while it lasted. I hope you are enjoying the day. Have you ever seen a child whose parents have put him on a leash? Maybe they are at the mall or some other public place. The child keeps pulling in one direction, excited to experience all the new sights and sounds. And the leash keeps yanking him back. This illustrates something I've been feeling a tiny bit lately. You see everything around you and feel all the promise. You want more than anything to run towards it and experience life to the fullest. But something yanks you back. The trouble is, in real life this force that pulls you back is not usually as obvious as a bungee leash. I think we all struggle with something that pulls us back from time to time. Sometimes it's fear. Maybe it has to do with the fact that we don't know which direction to move forward in so we just stand still. The child with the leash will never get too far from his starting point. That's the way the leash was designed. But in my case (and yours), there's no limit to where we can go. And there's really nothing holding us back. Except ourselves. My friend has a painting in her living room with these words on it: "I live under an open heaven." Just the phrase brings a smile to my face because I believe it with all my heart. I think we do live under an open heaven...we live under the constant threat of opportunity and possibility. Blessings large and small are always falling from the sky and it's up to us to grab hold of them or not. Don't put yourself on a leash. 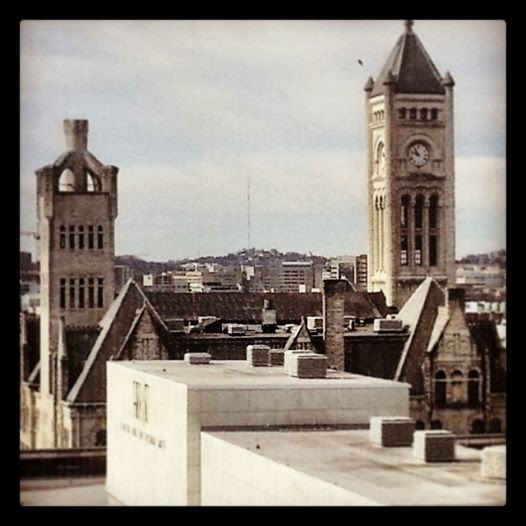 And take time to look up every now and again to see what wonderful things might be falling into your lap. Friends are such an important part of our lives, our first connection with the world outside our families. I've been blessed to have some wonderful friends come into my life through the years. Some have remained and others have drifted away. I haven't always been the best friend, but I've learned a lot of lessons and hopefully have gotten better over the years. Everybody isn't meant to be best friends with everybody else, but when you do find those people you know were meant for you, it's so important to hold onto them. I'm still learning so many things about what friendship means and how it can take many forms. Here are a few things I've come to realize about how to stay friends forever. 1) You gotta support them - This doesn't mean you support everything they do or every choice they make. But you have to make your friend understand that you support him or her as a person. That you appreciate them and what they stand for. 2) You have to love them and say it often. Remember when saying I Love You to someone besides your mom was a huge deal? We need to get over that. Love is not something to feel weird or awkward about. 3) Don't give up on them - We all go through phases where we are figuring things out. Sometimes we end up pushing away from those people we need the most. If your friend is pushing you away, just give him space. And don't give up. 4) Don't try to change them - Sometimes the things we love most about people also drive us a little crazy. This is normal. We all need our own unique flavor to add to the mix. 5) NO JUDGEMENT. Don't judge your friends - I was recently spending time with one of my best friends and she said something that she later felt bad about. She send me a text the next day saying that she was embarrassed by what she had said. I responded by saying "This is me you're talking to. I will never judge you for anything you say." And I mean it. I feel like I have the same thing in her and that's a gift. 6) Accept awkward moments and move on - Everything won't always be perfect. Life seldom is. But we can accept that awkward moments aren't the end of the world. There's still friendship on the other side. More often than not, it will be stronger afterward anyway. 7) Grow with them - A friendship is a living breathing thing. It won't always look the same or fall into the same patterns. If you really value your friend, let the relationship grow through all stages of life. 8) Laugh - The central theme of most of my dearest friendships is laughter. 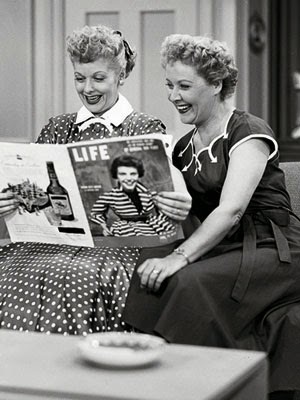 Being able to laugh together about ourselves is medicine for the soul. 9) Bare your soul - If you find a true friend, you're so fortunate. Be your authentic self around them and give them permission to do the same. Even if there are difficult things that come up. (see #6). 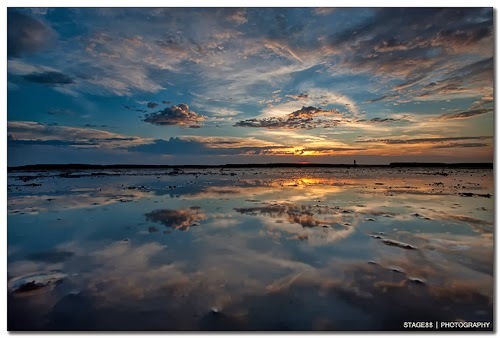 10) Be Grateful - So many people in the world are lonely. If you have a friend whose heart is connected to yours, be grateful for them and show them that gratitude. When I stop and think about the people in my life I'm grateful for, the list gets really long really quickly. But I don't always do a great job of letting them know it. Send a card or a text. Make time for a phone call or a lunch date. It'll be worth it in the end. These last few days have been a whirlwind...I'm almost ready for it to be Monday (almost). Last week, the south was hit was some crazy winter weather. My heart just broke for all the folks who were stranded, without power, and dealing with all the aftermath of the storms. Knoxville hardly ever gets any snow, even when the forecast calls for it so I wasn't prepared at all when it hit us on Tuesday. Thankfully, it eventually melted without too many lasting effects. 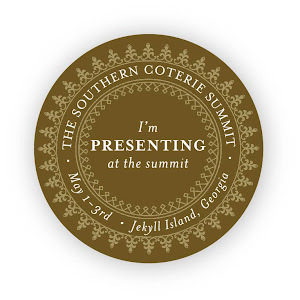 Wednesday, the southern beau and I headed west to my hometown of Cookeville. After 24 years as a dedicated public servant of the federal government, my dad retired. He worked plenty before that as well in a variety of different jobs. He's always been such a great example to me about what it means to have a work ethic and I was so excited to get to celebrate this milestone with him, first with his colleagues on Thursday and then with some dear family and friends over the weekend. It was truly incredible to hear so many different people share stories and memories of my dad over the years. When you know someone as your parent, I guess it's easy to forget about all the other facets of their lives. Colleagues spoke of his integrity, his wisdom, his being a calm, steady presence during times of chaos, of his hilarious stories, and even some bizarre hi-jinx they had experienced at work. None of it surprised me, but it was nice that so many others got to see what I have always known. Saturday, we pulled off a pseudo-surprise retirement party with family driving in from far and near, plus great friends old and new. It was really special and I think my dad thoroughly enjoyed himself. This morning, we were at church with my parents, the same church where I grew up in youth group, when the pastor announced that there had been a shooting at another local church in the community and at least one person had died. Not exactly what anyone was expecting to hear and I'm certain not what the folks who experienced this tragedy were expecting when they dressed and set off for church this morning. All we could do was stop and pray...for all involved, for those whose lives will be forever altered. I know in the grand scheme of the world, this was just one incident. But still, it was one incident with a heartbreaking end. After church, my family went to eat at the Thai restaurant. It was a strange sensation because while I couldn't shake the feelings of sadness for the small community church, I was just so darn thankful for my own little family and the chance to be with them. Maybe all of this seems disjointed, but I took away a few things from the last several days. 1. When you are your authentic, genuine self, you can't help but have a positive impact on the lives of others (my dad has done just that). 2. Don't wait until a retirement party (or God forbid, a funeral) to speak kind words about a person you care about. Tell them now. It sort of goes along with this article, but I think it extends way beyond romantic stuff...just let the people who matter to you know they matter. 3. If you have someone who cares about you, you are very lucky. If you have several someones, that's even better. 4. Finally, reach out to someone you know who might be hurting. You could be the only beacon of light that ever shines their way. Don't let worrying about how you will look or the fact that you aren't quite sure what to say cause you to say nothing.